Accomplished folk musician Sara Milonovich plays for a group of Middlesex Middle School students as part of visiting artist program. Darien Music for Youth has teamed up with the Darien schools' Music Department to sponsor a professional folk music artist to work with the students as part of the curricular focus theme on American folk music. Folk musician Sara Milonovich recently completed sessions with students throughout the district to introduce them to the origins of the music and to get them thinking about creating their own original folk songs. She will periodically visit the district throughout the school year to give the students feedback on their songs. Milonovich is a singer, fiddler, composer and bandleader as well as an accompanist for many other artists in different musical genres. She has performed throughout the United States and Europe, playing folk, rock, bluegrass, Celtic and Appalachian music, both solo and in collaboration with other artists, such as Richard Shindell; Pete Seeger, on his Grammy-winning "At 89" album; Eliza Gilkyson; Cathie Ryan; the McKrells; Quickstep and Antje Duvekot. Her latest CD, "Daisycutter," was nominated for a Grammy, and features her own compositions, along with fresh readings of songs by a variety of contemporary writers. The album is also notable for the friends from some of her different musical lives who joined in: newgrass mandolin stalwart Mike Marshall, Nashville bassist Viktor Krauss, singer/songwriters Richard Shindell and Eliza Gilkyson, Austin musician and producer Lloyd Maines, Irish guitarist John Doyle, jazz reedman Matt Darriau of the Klezmatics, and Springsteen banjoist Gregory Liszt. 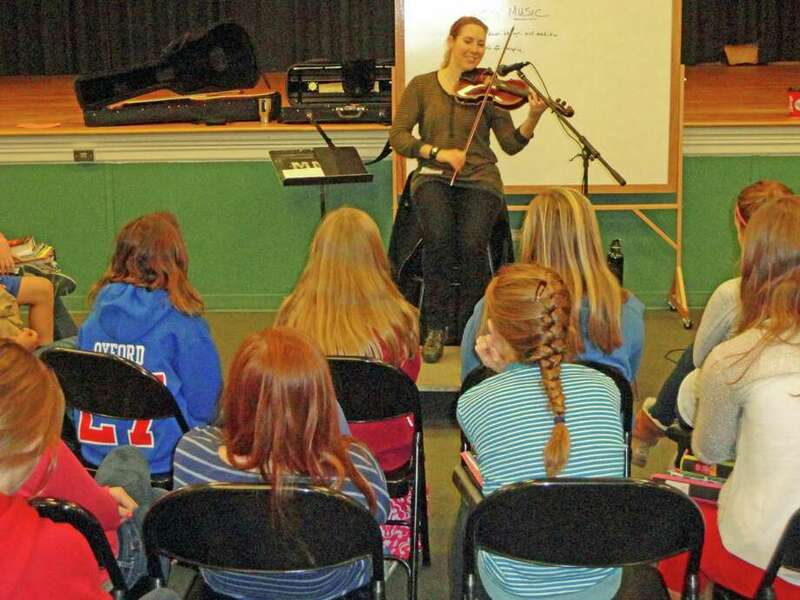 Milonovich will cap off her local residency with a Music for Youth-sponsored Darien Folk and Fiddle Festival on June 3 at Darien High School featuring her own band as well as the original folk songs of the students.